A mysterious cosmic entity has recruited five brave patriots for the ultimate commando mission. 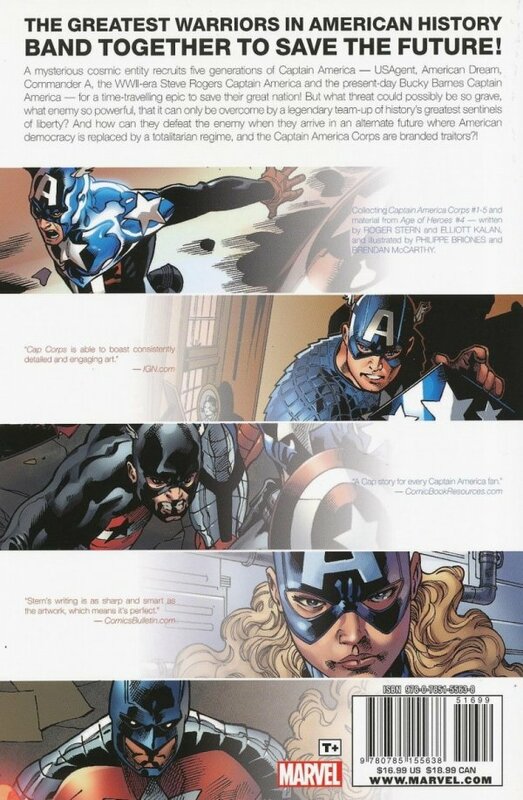 Their names are legend: the U.S.Agent, American Dream, Commander A, Captain America and?Captain America?! 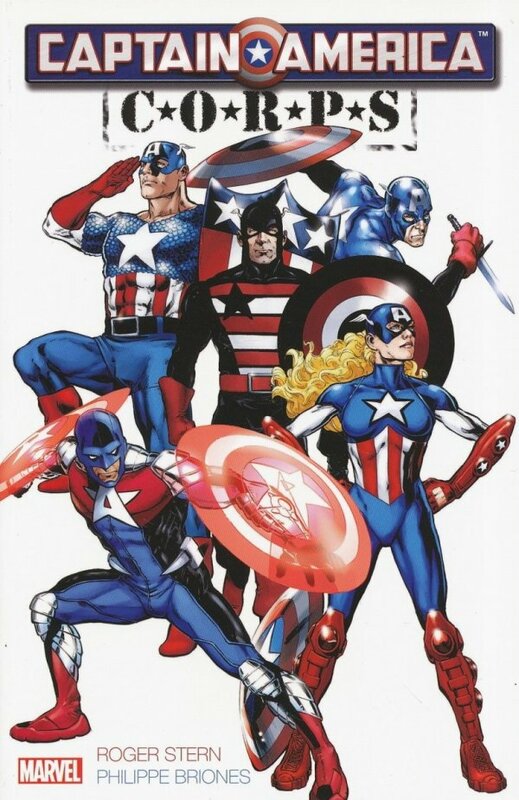 What threat is so grave that two Captain Americas are needed? Who will lead the team? Can even these mighty heroes save our nation - and the world - in time? And what is the AmeriCommand? New York Times best-selling author Roger Stern (AMAZING SPIDER-MAN) joins forces with artist Phillipe Briones (AMERICAN SON) to provide the answers! Collecting CAPTAIN AMERICA CORPS #1-5 and material from AGE OF HEROES #4.